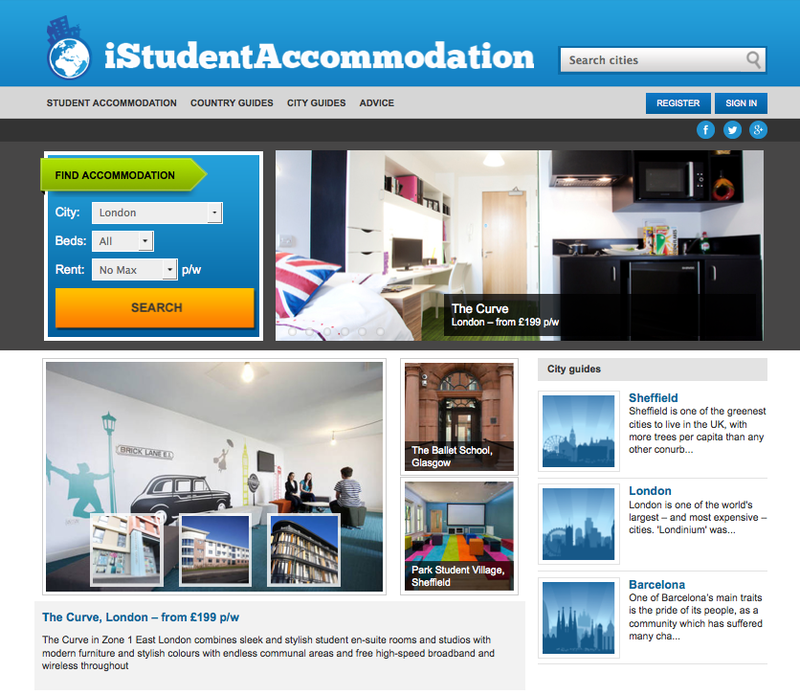 iStudentAccommodation.com is the new search portal for luxury student rooms and flatshares in the UK, Continental Europe and Australia. a matrix presenting all the room options, along with further information about each room type. Registered students can request a room at a residence directly through the site – the accommodation manager will then be sent an email to follow up the request and confirm the booking. Our dedicated in-house team will upload the residence listing for you and maintain the availability of the room options on a weekly basis. 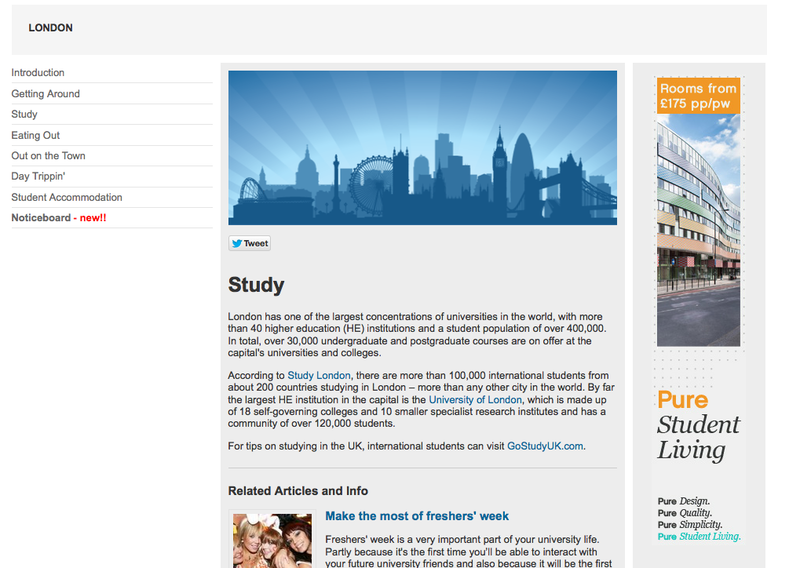 (We are also able to integrate an XML feed to ensure that the site is displaying the latest information.) Our experienced editors are happy to create residence profiles using information and images on your own site, sending you links to your pages to approve and therefore keeping your workload to a minimum. 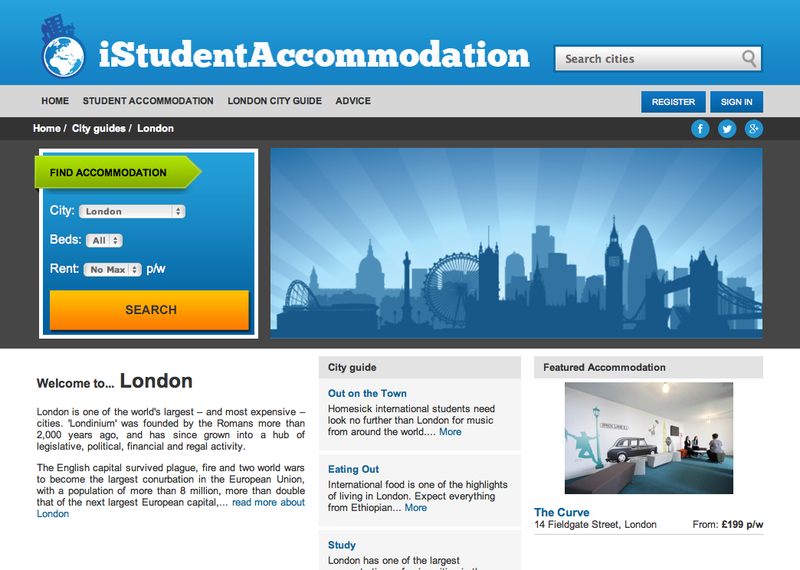 Accommodation provider listing – free with any residence listing! Book one or more residence listing, and we will also add a free-of-charge accommodation provider listing to the site for the duration of your booking. Looking to increase the visibility of your residence listing? The home page carousel and featured accommodation boxes are a great way to drive even more traffic to your listing. 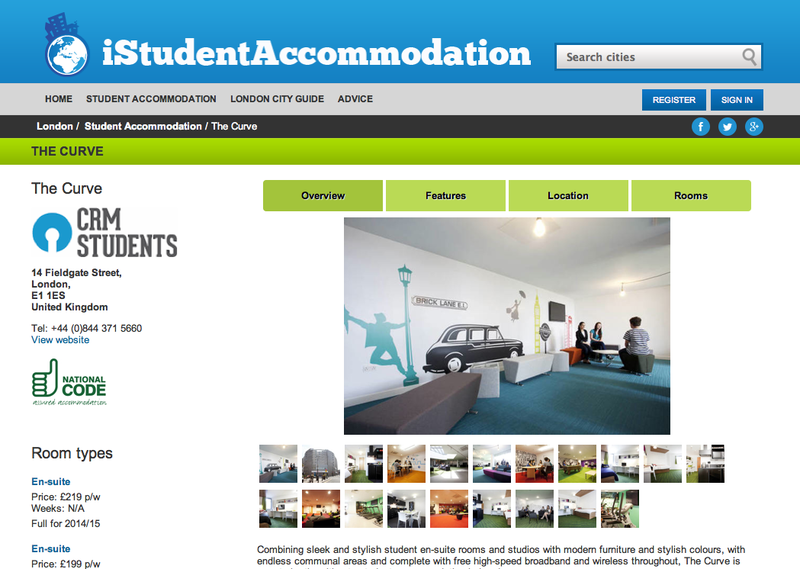 If you're keen to target students looking for accommodation in a particular city, you can also book a featured accommodation position on that city's landing page. 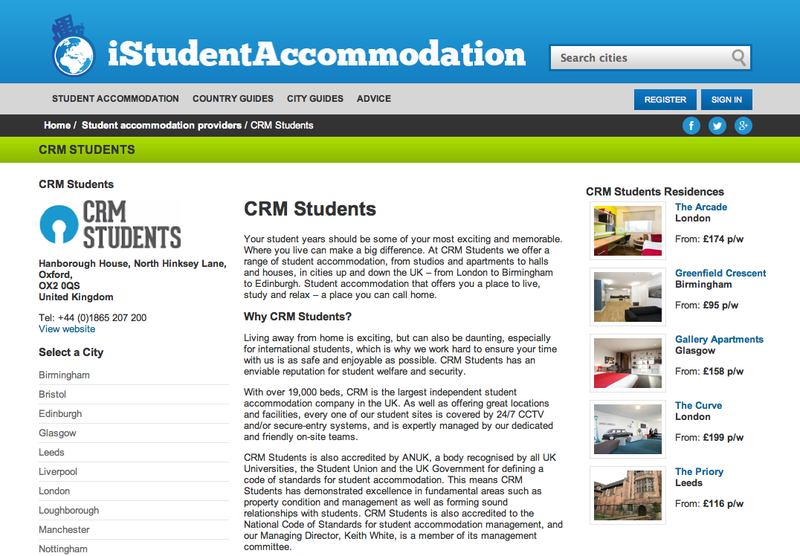 For accommodation providers and other organisations looking to target our student visitors, there are banner positions across all of the editorial pages at both the country and the city level, as well as alongside the general advice articles. Interested in finding out more? Please contact us for further information.